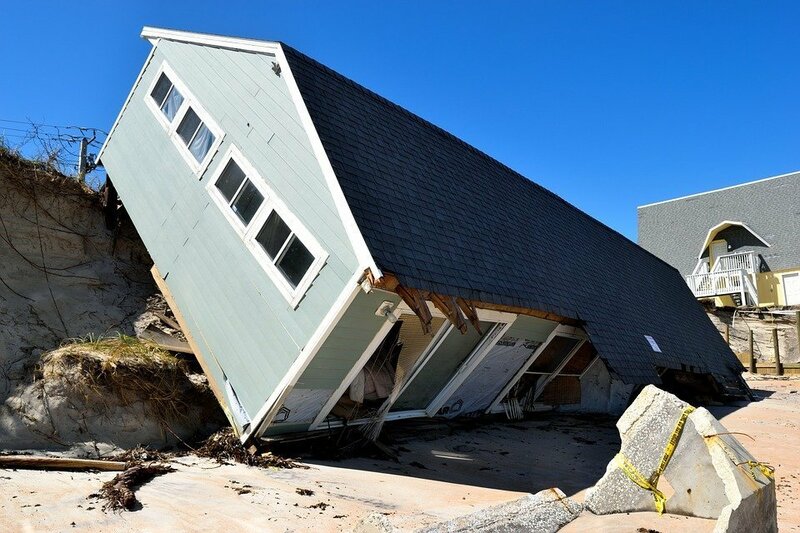 Hurricanes Can Damage Much More Than Just Your Home! If South Florida homeowners were polled on things they wish they didn’t have to deal with, hurricanes would likely be at the top of the list. Last year’s storm, Hurricane Irma, was estimated to have left between $25 to $65 billion in damage in its wake including destroyed homes, uprooted trees, and statewide power outages. But hurricanes damage more than your home. While they pose a constant threat to Miami-Dade and Broward County residents’ property – and ultimately their finances – this extreme weather can come at another cost: your mental health. As a family-owned business with many roots in South Florida, ASP Windows & Doors understands the burden Floridians must bear. Read more to learn how to manage the stress of hurricane season and to deal with any post-storm anxiety you may have. Many homeowners find that preparing their homes for a hurricane’s impact can be some of the most anxiety-inducing aspects of a natural disaster. Constant news coverage and mention of the storm by the media can quickly whip the public into a panicked frenzy: grocery stores quickly empty, lines for gas pumps lead out into the street, and residents make mad dashes for plywood planks in attempts to secure their home. The best way to minimize stress before a hurricane is by creating a sense of security through preparation. A typical homeowners insurance policy won’t cover the flood or wind damage caused by a storm, investing in hurricane insurance (well before hurricane season) is a great way to put your mind at ease, knowing that you will have financial assistance should any of your property be damaged. Minimize the likelihood of your home sustaining significant interior damage by installing impact glass that is specially designed to withstand Category 5 hurricane winds. Nailing plywood across windows or taping windows doesn’t actually work. Flying debris is one of the major causes of damage, and these windows not only protect your inner home from being affected but can keep your family safer once winds being to pick up. Once the imminent threat of physical danger has passed, a whole new set of worries begin for Florida homeowners. There have been numerous studies that have looked into the psychological aftermath of hurricanes and other types of natural disasters, asserting that the prevalence of mental illness increases significantly with their passing. Assessing the damage, getting in contact with loved ones, and resuming life afterward can pose significant challenges on the road back to normalcy. Having just lived the stressful situation that is a hurricane, give yourself a mental break and turn off the news, radio, and any other type of media that may be talking about it. Give yourself time to assess the damage. Additionally, if you find it difficult to cope, seek out a professional therapist who specializes in helping natural disaster victims. South Florida is nearing the end of hurricane season, but don’t let down your guard just yet. Make sure your home is outfitted correctly to give you and your loved ones peace of mind during these stressful times. ASP Windows & Doors is available to help all South Florida locals install the highest quality storm-proof glass in your homes and business. Call today for a free consultation.